Following the financial troubles of the late 2000s, there were gloomy predictions that the days of the hypercar were numbered. Such speed was superfluous and irrelevant some said, and such extravagance and automotive excess had no place in the modern world. Despite this, in early 2010 Porsche revealed the 918 Spyder concept at the Geneva show. This was followed by the unveiling of the McLaren P1 at the Paris show in October 2012 and then Ferrari’s LaFerrari at Geneva in early 2013. All three of these new hypercars had mid-mounted petrol/electric hybrid power, carbon-fibre tubs, active suspension and active aerodynamics. And they were staggeringly fast and looked amazing. They also cost serious money, but despite this all of their limited production runs were sold before deliveries even began. They were dubbed the Holy Trinity, and the specialist media scrambled to test the three together. Favourite to be first with this was Top Gear, but even their early attempts met with failure. As we know, the program such as it was came to an unexpected halt soon after, and it was mission unaccomplished. Although Top Gear magazine and others have since featured the Trinity, this was very much unfinished business for the ex-Top Gear TV team, and so it was the lead item of episode one of their new show, The Grand Tour. To coincide with this occasion, here’s the low-down on the glorious Holy Trinity; cars that are not only incredible to drive but – for the lucky few owners – have proven to be incredible investments too. Recently the most common question that I am asked is “Which is your favourite?” When you own the Porsche 918 Spyder, Ferrari LaFerrari and McLaren P1 people want to know which car is the best. This is what my ownership has been like so far. From my perspective as a very lucky owner of all three, the Holy Trinity does sit in a class of their own for modern supercars. Within my collection I am “missing” the Ferrari 288GTO but do have the F40, F50, Enzo and La Ferrari. This is an amazing collection of Ferrari complemented by cars like the 360 Challenge Stradale, 16M, 599GTO and of course the 458 Speciale and Aperta. My collection of Porsche Turbo S is also worth mentioning with 993, 996, 997 and 991. Although these form a sub-category and are all amazing, they cannot compare with the P1, 918 and LaFerrari. The ‘Holy Trinity’ are all so different, yet so special in their own ways; it’s remarkable how three manufacturers could all produce such different answers to the same problem! It’s also why motoring journalists and a few lucky owners can’t separate them to choose a favourite… a first world problem for sure. However, if the value of a pound is brought into the equation – the McLaren would probably be the one… the rarest of them (only 375 being produced) currently trading at double list, but that is still a margin cheaper than a LaFerrari – enough to buy a 918 with the change! These cars represent the pinnacle of what each of the manufacturers were able to achieve, using all the knowledge and expertise amassed by the these iconic brands over the different lengths of time they have been building street legal cars. How does it feel to own them? Very privileged, but to drive these cars is to take it to the next level – every mile is an occasion! 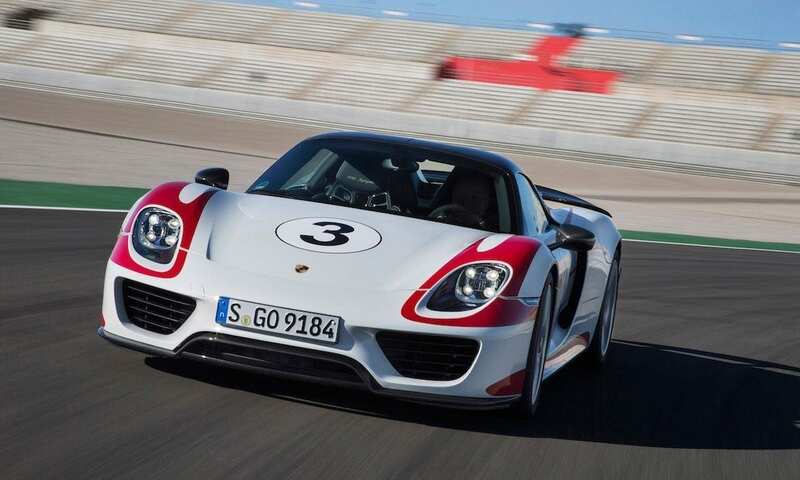 Developed at Porsche’s racing facility Weissach, the first production 918 Spyders were completed in September 2013. Like its Carrera GT predecessor, the 918 is built around a carbon fibre tub with a mid-mounted engine, but there the similarities end. In place of the Carrera’s 612hp 5.7-litre V10 engine sits a naturally-aspirated 608hp 4.6-litre V8 along with an electric motor also driving the rear wheels, with a second electric motor delivering drive to the front axle. The three motors combine to give a total of 887hp – less than the P1 and LaFerrari, but with up to 1,280Nm the 918 is comfortably the torquiest of the Trinity. At 1,640kg the 918 is also the heaviest, but much of the extra weight can be attributed to its large, plug-in charging lithium-ion battery which permits a 93mph top speed or a range of up to 19 miles in all-electric mode. You wouldn’t have thought that a hypercar capable of sprinting to 62mph in 2.6 secs, reaching 214mph and of lapping the Nürburgring Nordschleife circuit in a road-car-record 6m:57s could also return over 90mpg (combined) and emit just 70g/km of CO2, but these figures serve to highlight the depth of the 918’s technology and talent. 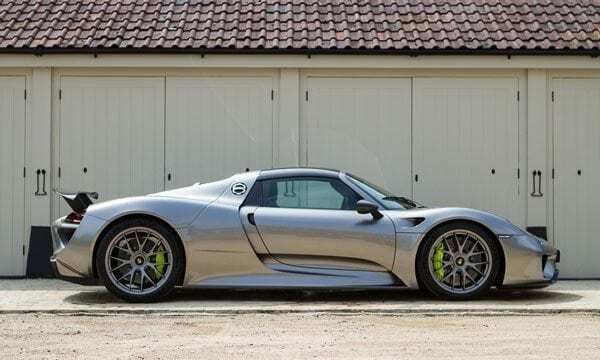 Production of the 918 918s ended in 2015 and the official UK price was £651,092, although customers opting for the 41kg-lighter Weissach Package version (with magnesium wheels and less sound insulation) had to find £712,088. If you want to add one to your car collection, you can get in touch with us to find out the best finance offers for your Porsche. The Porsche 918 was the car that I was least likely to buy. However, after a drive on a race circuit in Spain it was a no-choice option but to add this fantastic car to the collection. The Porsche, unlike the P1, is unusual to start. You need two turns of the key in final rotation to start the process which will always be in E (Electric) mode. You then have the turn the dial on the steering wheel to start the petrol engine. I always do this to ensure that when the battery power has been depleted the petrol engine is already at operating temperature when it takes over. To the right of the steering wheel is a lever for Drive, Neutral and Reverse. The Porsche is easily the most refined inside the car with three screens providing lots of digital data. With the longest E range of about 15 miles it also provides the best performance in Electric mode and also reflects a 31 plus mpg in real driving conditions. Performance is less breathtaking when you first give the car full beans. With a very smooth and linear powered delivery the 918 soon exceeds 200mph. The 918, like the P1, has a super smooth gearbox but the brakes are not as confident and regularly make a “graunching” noise that I was told to expect during the handover of the car. The engine noise is amazing with two exhausts literally just behind your head – it must be a fantastic sight as they lick out flames on the overrun. Of the three, the 918 is “all things to all men” – it’s the easiest car to drive and a technical tour de force. You can drive the car under its electric power for many miles, in complete silence through sleepy villages. Open top motoring can be enjoyed once you remove the carbon roof panels, with the exhausts of Porsche’s bespoke 4.6 litre V8 engine right behind your ears. You can also use the vehicle’s Nissan GTR destroying A2B pace to cover ground at psychotic speeds in all weathers! Next to market, in late 2013, came the spiritual successor to the legendary F1, the P1 – a Woking-built plug-in hybrid which McLaren confidently proclaimed to be “the best driver’s car in the world”. Constructed around a 90kg carbon fibre MonoCage tub, the rear-drive P1 is powered by McLaren’s mid-mounted 3.8-litre twin-turbo V8 tuned to produce 737hp. The V8 integrates with an electric motor and together they make 916hp with 900Nm of torque. The figures are 0-62 in 2.8 secs with an electronically-limited 217mph top speed, although it apparently could reach 249mph when unlimited. 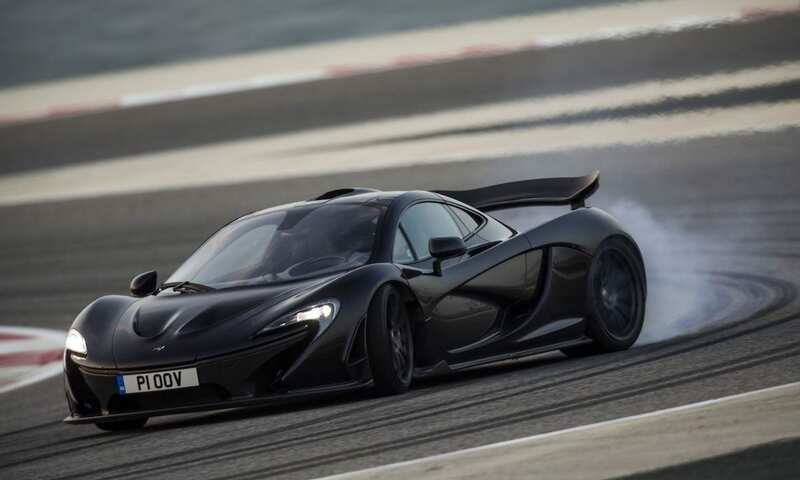 To support McLaren’s belief that the P1 was the “fastest ever production car on a racing circuit”, the company also took a car to the Nürburgring and it lapped in “under seven minutes”. How much under seven minutes was never revealed, but a Holy Trinity track test on the Silverstone Club circuit in late 2015 saw the P1 lap in 58.24 secs. This was 0.23 and 0.34 secs quicker than the 918 Spyder and LaFerrari respectively, but the three times were so close as to be inconclusive. Capable of driving “more than 10km” in electric-only mode, the P1 weighs 1,391kg (dry) – this figure helped by there being no interior sound deadening and carpet being an optional extra. P1 production ceased in 2015 after the intended 375 cars had been built. With prices starting at £866,000, the average actually paid for a new road version (as opposed to the track-only P1 GTR) was around £1 million with options. My McLaren P1 now has over 6,000 miles on it and as a Hypercar this is a lot of miles for that length of ownership. The P1 has no useless buttons or any other switch gear other than what you are going to use. It’s a simple car to start as it is the only one with keyless go. So, foot on the brake and a push of the start button and off you go. The engine and drive train are guttural with plenty of noise from the dump valve and wastegate, producing a unique sound. The first time that you hit the gas pedal full on it literally takes your breath away. With super smooth gear changes and amazing brakes the P1 is a marvel in all modes, whether it is road, sport, track or race. This car is dominated by the huge pair of turbos, which you continuously hear spooling up and their waste gates fluttering as the next corner arrives and you have to lift off the throttle. If it wasn’t for the instant power delivered by the electric motor, the car would probably suffer the huge turbo lag which motoring journalists talked about performance cars suffering in the 80’s. However the way this motor works in conjunction with that engine simply results in faintly ludicrous acceleration – a testament to McLaren’s engineering that the car can have enough traction through its rear wheels to put 903bhp down on the road! The latest in a series of ‘ultimate’ Ferraris – namely the Enzo, F50, F40 and 288 GTO, the first LaFerrari customers collected their cars from the Maranello factory in the Summer of 2014. Adapting the KERS (Kinetic Energy Recovery System) know-how gained in Formula One, the carbon-tubbed LaFerrari is powered by a 800hp 6,262cc V12 which revs to a heady 9,250rpm – an rpm record for a production engine of this capacity. The V12 is assisted by a 163hp electric motor also driving the rear wheels, and together they produce 963hp along with over 900Nm of torque. A second electric motor drives various ancillaries. Weighing around 1,250kg (dry) it’s the lightest of the three, and Ferrari quotes a 0-62 time of less than 3 secs and a maximum speed of over 350km/h (217.5mph). With a lap time of “under 1:20”, it’s the fastest road Ferrari yet around the company’s Fiorano test track, being some five seconds faster than the Enzo and on a par with the track-only Enzo FXX (1:18) and FXX Evoluzione (1:16). 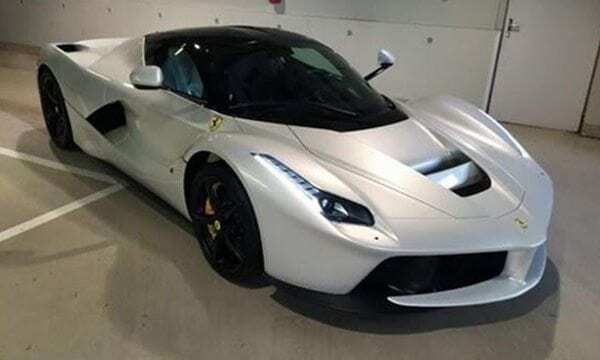 Unusually, design house Pininfarina didn’t have a hand in this Ferrari’s styling but the LaFerrari is generally considered to be the best looking of the Trinity, as well as its naturally-aspirated V12 being the best sounding. It was intended that 499 LaFerrari coupés were to be produced to sell at around £1 million apiece, but a 500th was completed in August 2016. A convertible Aperta version was unveiled at the Paris show a month or so later, by which time all of the 200 Apertas planned were already spoken for. Have I saved the best until last? 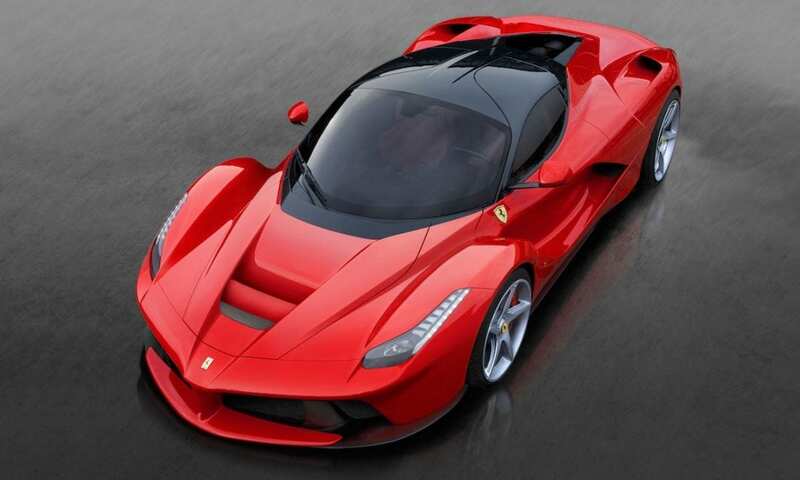 The LaFerrari is after all a Ferrari and is so very special for that reason alone. Starting the car is a traditional Ferrari key in the ignition and a push of the start button on the steering wheel. The whole world then erupts as the V12 comes to life. What an amazing sound. The V12 engine is a dying breed and this LaFerrari is so special because of this. It produces the best sound of all three and then some. The first time that I really pushed the LaFerrari felt like it was faster than the P1 or the 918. The hybrid battery is only there to provide performance and the car has no electric mode. This focus on pure performance does show, with the battery easily reaching full charge in just a couple of miles. Endless power and truly breathtaking. With a “bumpy road setting” for the suspension it is also the most comfortable when you are travelling a long distance and just cruising. With brakes as good as the P1 it is sometimes hard to believe just how quickly the car can stop. Like the P1 the LaFerrari is simple and functional inside with all of the controls familiar to 458 and F12 owners. With a wide range of traction control intervention choice on the manettino it is easy to grow confidence in the LaFerrari where it performed beyond my expectations on the race track. So if you meet me perhaps you should ask the question “If you could only keep one, which one would it be?” The answer is the LaFerrari. For me there has always been a myth surrounding Ferrari ownership and the phenomenal history of Ferrari as a manufacturer and this is the only car out of the three which you had to be invited to purchase by the factory. This invitation took me over 20 years of Ferrari ownership and therefore wins the ownership battle. Wow! This car just feels special in a way that is difficult to convey. Once you’ve climbed into the carbon & leather cabin, taken in the fantastic smell emitted from that leather, then pushed the starter button on the steering wheel… the 6.2 litre V12 fires into life – and you can’t help but giggle. This car is by far and away the lairiest of the trio to drive on the public roads; the power delivery from the naturally aspirated V12 coupled to its electric motor results in such instantaneous torque you can break traction with just a slight stretch of your right foot – I’m amazed this car was allowed to be sold to the general public! From the moment they were announced to the eventual sale to lucky owners, it’s clear that each of these hypercars is very special. For collectors to own all three and join a very number one club of Holy Trinity collectors, the benefits extend far beyond the pure enjoyment of owning and driving these cars. The values have increased exponentially. The Porsche 918 Spyder retailed from £651k and now boasts a value of around £1m, with the Weissach Package model commanding £1.3m. The McLaren P1, originally priced from £866k, is now valued at £1.6m. Collectors lucky enough to own one of the 499 LaFerrari’s have seen their initial investment of £1.15m more than double to £2.6m. 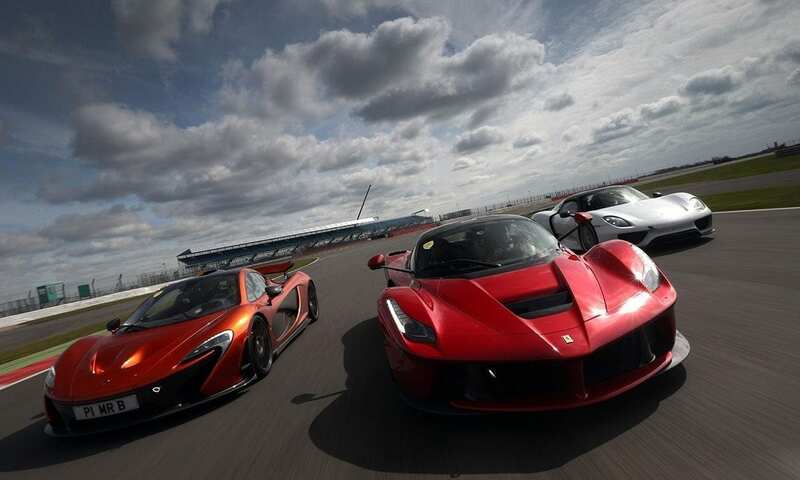 Whether it’s the McLaren P1, Porsche 918 Spyder or Ferrari LaFerrari (or all three!) that gets your motor running, we know that each car – and each owner – is unique. We’ve created bespoke finance solutions for these models for numerous clients. To discuss how we can help you own the car of your dreams, call one of our experts today on 020 3355 0035.